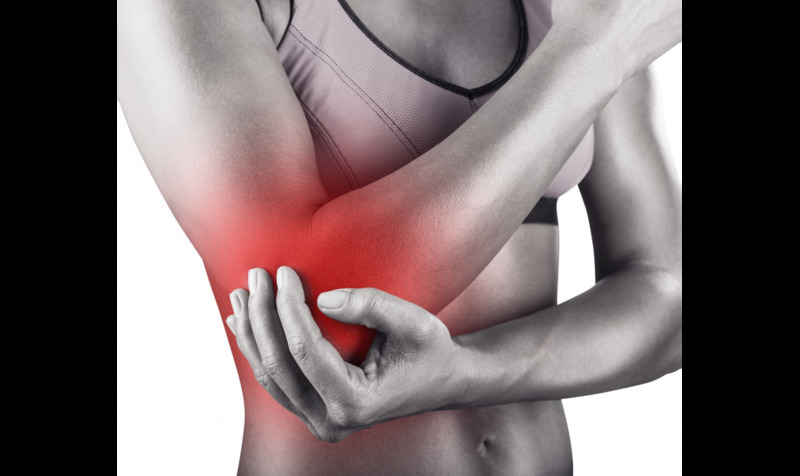 Tennis elbow, Golf elbow are caused by microscopic tears in the tendon that leads to inflammation and pain. We outline the causes, prevention and treatment for this common injury. Tennis Elbow or Golf elbow are not limited to people who play sports. Generally, people who participate in activities that require repetitive and vigorous use of the forearm muscle such as mechanics, plumbers, chefs and carpenters to name are few are at risk. Overuse and or incorrect technique of the forearm cause microscopic tears in the tendon that leads to inflammation and pain. Pain is made worse when squeezing objects or when forearm undergoes a twisting motion such as opening jars, wringing a towel or even opening doors. Around 50% of tennis players are affected during their careers. As we mention time and again, prevention in most instances is better than cure. Once a body part is damaged, even once healed poses higher chance of recurrence. Stretching, Strengthening and Supporting can minimise injury in most sports and exercises. A majority of sporting injuries was caused by overtraining or overuse without adequate conditioning. This is also the case for Tennis elbow. Thus, applying incremental forearm strengthening exercises can help to prevent Tennis Elbow. Allow your muscle to strengthen over time rather than trying to improve your training in too short a time. Increase training gradually will allow your body to heal and strengthen before the next time you use them. A good video outlines forearm strengthening exercises to help prevent Tennis elbow and can be used during rehabilitation. Tennis or Golf elbow is often caused by incorrect technique. The elbow sustains much more impact if it starts and stops suddenly. For Tennis player, try to have a bigger wind up before hitting the ball and follow through to minimise the impact. An accredited sports coach will be able to help fix any technique errors. Nonsurgical treatment has as high as a 95 percentage success rate. Immediately after injury, and up to 72 hours afterwards, it is best to apply RICE (Rest, Ice, Compression, and Elevation). It can help with to reduce the pain and swelling that occurs immediately after an injury. Ice – Apply ice to the affected area 20 minutes at a time to avoid frost bite. Do this several times a day. Compression – After icing the injured area, apply compression. Use bandage or sports brace on the area firmly but not too tight as to inhibit movement. Elevation – Raise the injured area above heart level to help reduce swelling. How soon you should get back into exercise will vary depending from person to person and the severity of the injury. Some light exercise is a good way to ‘feel out’ the recovery process. Our suggestion is to wear protective brace such as the Inner-Fire Advanced Elbow Brace while easing back into your exercise routine. Continue to do stretching and strengthening exercises. If pain returns, stop immediately and apply RICE. The contents we provide are for informational purposes only and should not be a substitute for professional medical advice, diagnosis, or treatment. Please use the information above at your own risk as no party involved in the production of this resource accepts any responsibility for its usage.